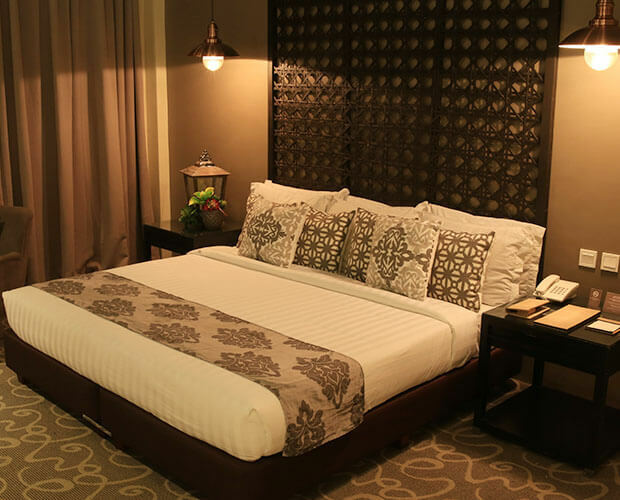 With classy interiors enhanced by soothing earth tones, our accommodation takes pride in giving you a unique stay at The Oriental Hotel in Leyte, Philippines. Choose among the hotel’s five accommodation types and room rates, and see what’s best for your visit. For the bigger group who are more on the go, our Deluxe Group Room is ideal for you. 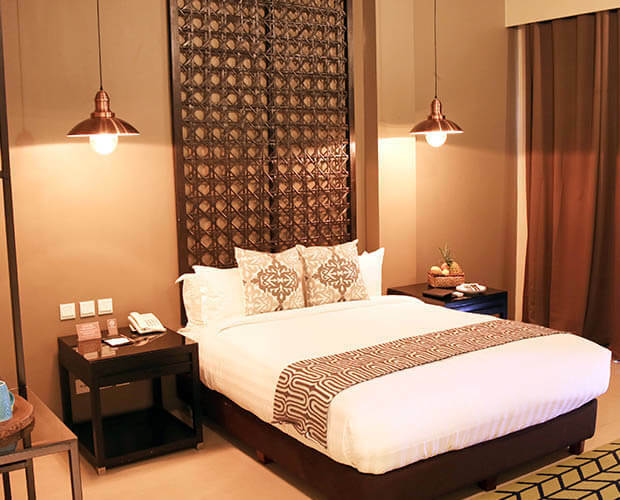 This room type is equipped with 4 single beds and can accommodate 4 adults. 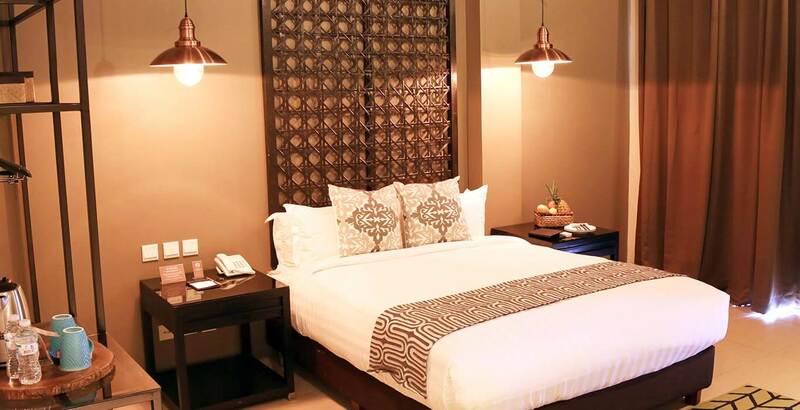 This room is equipped with 1 queen bed and can accommodate 2 adults and 2 children. You may also opt to have a garden or beach view for a calming start of the day. Having 2 twin beds, the Premier Twin can house up to 4 adults and 2 children. Depending on your preference, these rooms come with either a garden view or a beach view. Have a more pleasurable stay. 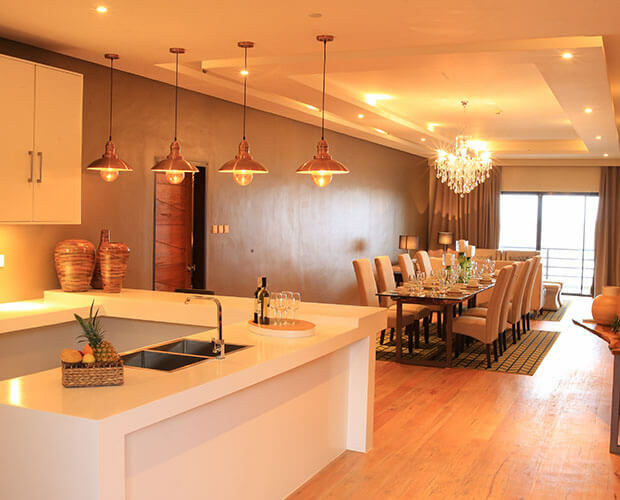 The 85 sqm Executive Suite has its own receiving and dining area, a king size bed, a private balcony with an ocean view, and can welcome up to 2 adults and 2 children. 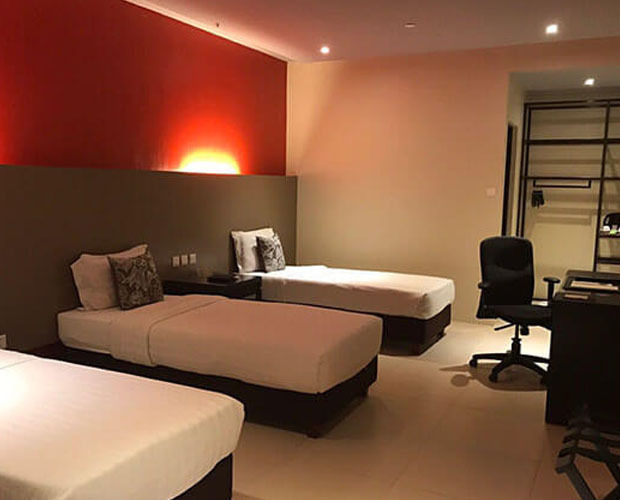 At 276 sqm equipped with 3 bedrooms, living area, kitchenette, and its own jacuzzi, the Governor Suite is the most lavish accommodation in this hotel in Leyte, Philippines. It also has its own balcony with an ocean view and can welcome up to 8 adults and 2 children.